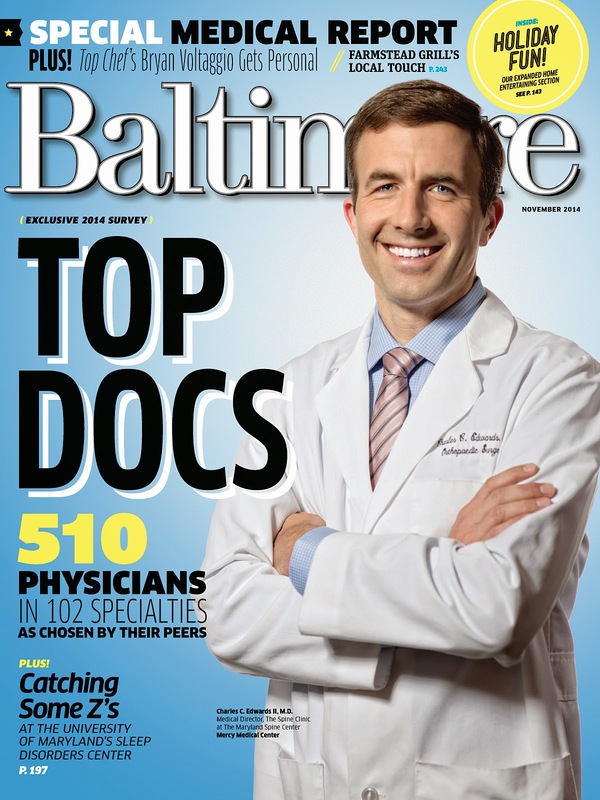 GBMC physicians have always had a strong presence in the Baltimore magazine Top Doctors edition, and this year is no exception. Nearly 10,000 physicians throughout the region were surveyed on where they would send members of their own family for specialized care, and it is truly an honor to have so many of those esteemed medical professionals put their trust in GBMC. Once again, survey responses have proven that GBMC has some of the Baltimore area’s best physicians! The 2014 results of this selective peer-responded survey are in, and GBMC is proud of its 138 medical staff members recognized in 60 different specialties, more than any other community health system or hospital in the region. Several of those medical staff members were recognized in more than one category, and some have been recognized several years in a row. Through these physicians’ hard work, dedication to patient care and a commitment to excellence in their respective fields, GBMC is continuously able to provide the highest quality of care the people have come to expect from the GBMC HealthCare system. GBMC physicians have committed to upholding the organization-wide vision of always providing the same level of care that they would want for their own loved ones. A full list of the physicians recognized in the November 2014 issue can be found at www.gbmc.org/topdocs. To find a physician that is right for you and your loved ones, visit www.gbmc.org/findadoc or call 443-849-GBMC (4262). We all have it, we all experience it and we all feel it at some point in our lives. Between work, school, family life, busy schedules and plenty of things that just don’t go exactly as planned, stress affects everyone in some shape or form. Whether yours manifests as anxiety, fear, frustration or in some other way, these easy tips will help you conquer your stress levels and get back to living your life. While it may seem like a cliché, the American Institute of Stress states that a few slow inhales and exhales results in increased metabolism, slower heart rhythm, relaxed muscles, slower breathing cycles, a decrease in blood pressure and lowered nitric oxide levels. All of those result in an overall feeling of calm and well-being, effectively minimizing anxiety. 2) Figure out what is stressing you and put it in perspective. According to a 2013 article by PsychCentral, humans have a tendency to personalize stress, making the stressor seem much bigger, worse and more influential than it actually is. Taking a moment to stop and identify what is causing the stress, then looking at the stressor in the context of the world as a whole, can be extremely helpful in remembering that the sky won’t fall if things aren’t always perfect. 3) Utilize soothing affirmations and mantras. 4) Make a cup of green tea. According to research by the Institute for Natural Healing, a compound found in green tea can help burst the anxiety bubble. The amino acid, which is called L-theanine, reduces stress while increasing alertness, getting you back on track to tackle the day. While it’s great that we can constantly stay up-to-date with the latest news, not knowing when to quit can lead to an even greater anxiety level. Research by the University of Wisconsin-Milwaukee suggests that you unplug, turn off and set aside your electronics in the name of stress relief, giving yourself the opportunity to leave work stress at your home’s front door and vice versa. Two heads are better than one, but they work better when together! This was one of the many motivators to combine GBMC’s two Family Care Associates (FCA) offices to a single new location in Physicians Pavilion North. After more than six months of planning and construction, the new office opened on October 20, 2014. Before the new location was selected, FCA went through about two years of work to maintain consistency with the communication and technology efforts used by all Greater Baltimore Medical Associates (GBMA) primary care offices. Additionally, the practice made schedule adjustments to ensure that it can take urgent appointments every day and get patients in more quickly for non-emergent issues. It even extended its hours on weekdays and began offering Saturday and Sunday hours. As a result of that work, it earned the status of “Level 3 Physician Practice Connections-Patient-Centered Medical Home (PPC-PCMH)” as noted by the National Committee for Quality Assurance (NCQA). Achieving this designation demonstrates the practice’s commitment to providing better health and care at a lower cost. FCA was designed differently than traditional physician offices. Based on feedback from patients, the stakeholders team - including physicians, medical assistants, care managers and administrative staff - wanted to create a physical space that allows for the communication, direct patient care and education that are hallmarks of a PPC-PCMH. Designing a new office gave the team a chance to streamline their processes and make a truly patient-centered environment, aligning with the practice’s designation. The office layout is U-shaped with an “on-stage/off-stage” design. Patients and visitors only see the on-stage presence of the office including exam rooms, a lounge, concierge desk and seating area. After being greeted, patients are immediately directed to an exam room, so there is no traditional waiting room. The “off-stage” area of the office is where caregivers can communicate with each other and move easily between exam rooms, creating an easier workflow with less clutter. Each one of the exam rooms is fully equipped with the necessary tools that staff can use for a variety of diagnostic tests that can be performed on-site. There is also a phlebotomy room near the entrance for quick blood services if a patient doesn’t need a full exam from a physician. The new FCA office is the first GBMC Primary Care Practice to use this new design, helping us move closer to our vision where each patient, each time receives the care we would want for our own loved ones. FCA is accepting new patients! Visit www.gbmc.org/familycare or call 443-849-GBMC (4262) for more information. It’s that time of year again: the days are shorter and comfort food is abundant. People may be tempted to take a nap instead of go for a run, or reach for a cookie instead of a carrot, but Gregory Small, MD, primary care physician at GBMC, urges patients to think about how these decisions can affect overall health. “Weight gain contributes to increased blood pressure, so it’s especially important for people to monitor their habits this time of year,” Dr. Small says. High blood pressure, also known as hypertension, refers to a condition in which the heart is required to pump blood against a higher pressure than it is equipped to, placing a strain on the body. Known as the “silent killer” due to its lack of visible symptoms, high blood pressure, when poorly controlled, is a leading contributor to heart failure, chronic kidney disease including the need for dialysis, stroke and heart attack. Most patients experience high blood pressure over their lifetime and the risk of occurrence rises with age. 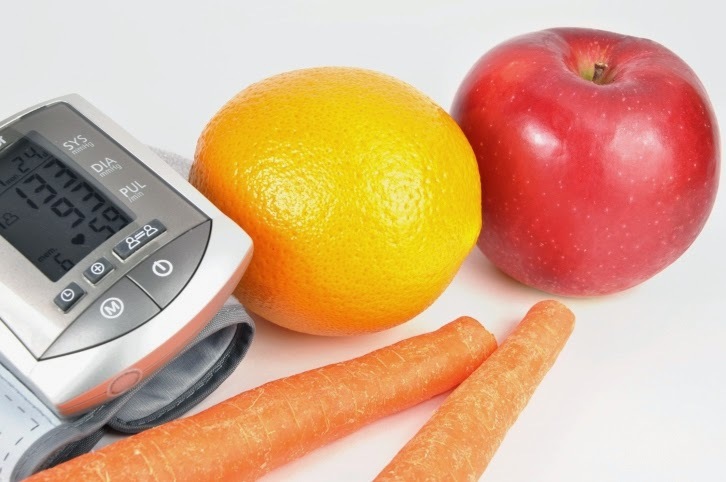 “I work with my patients to help them make changes that will lower their blood pressure and improve overall health,” Dr. Small says, noting that diet, exercise and alcohol consumption are key factors to monitor. Good habits are important year-round, but it’s especially important during the winter, when food loaded with sodium and saturated fat is more prominent, alcohol consumption increases and a sedentary lifestyle is more likely. Traditionally, normal blood pressure is considered 120mmHg/80mmHg or lower, and high blood pressure is considered 140mmHg/90mmHg or higher. The range from 120-139mmHg/80-89mmHg is defined as borderline high blood pressure. “These numbers are general guidelines. With blood pressure, clinical judgment comes into play. For example, older patients may not feel well at a low blood pressure. What’s normal for someone else may not be normal for them,” Dr. Small notes. He adds that if a patient has other conditions, such as diabetes or chronic kidney disease, more aggressive management goals will be needed. In addition, other health conditions often influence which pharmacologic option may be most appropriate. Like all of GBMC’s primary care physicians, Dr. Small works with patients to help them manage chronic high blood pressure according to their own unique needs. The longer high blood pressure is left untreated, the more likely a patient will experience the negative consequences of untreated hypertension. A primary care physician can provide blood pressure screenings and help patients set individual goals. With treatments ranging from lifestyle changes to medications, the right course of action should be decided between an individual and his or her primary care physician. GBMC’s primary care physicians are accepting new patients! Most locations offer extended hours on weeknights and weekends for your convenience. To find a physician who is right for you, visit www.gbmc.org/mydoctor or call 443-849-GBMC (4262). Exercise: The ideal amount of aerobic exercise is five days per week, for at least 30-minute sessions. Diet: Try to consume a diet rich in as many fresh fruits and vegetables as possible, limiting sodium intake. Alcohol Consumption: Avoid having more than one serving of alcohol per day. Imbibing in several servings can lead to increased blood pressure. Inactivity/weight gain: Maintain a healthy body mass index (BMI). A BMI less than 25 is great for most people, but determine a weight goal with a physician to ensure proper health! Boil sweet potatoes whole in skin for 50 to 55 minutes, or until soft. Run cold water over the sweet potatoes, and remove the skin. Blend potatoes in a blender and pulse for about one minute to remove all fibers. Place sweet potatoes in a bowl. Add butter and mix well. Using an electric mixer, mix in sugar, milk, eggs, cinnamon, pumpkin spice and vanilla. Beat on medium speed until mixture is smooth. Pour filling into an unbaked pie crust. Bake at 350 degrees for 55 to 60 minutes, or until knife inserted in center comes out clean. 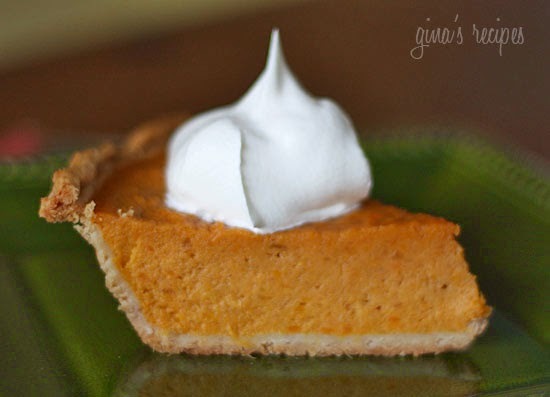 Serve with Cool Whip if desired and enjoy!